Early last month, I developed and posted what I think is the coolest Ajax UI ever. Dan Cornish pointed out that Comet is another related technology taking root. 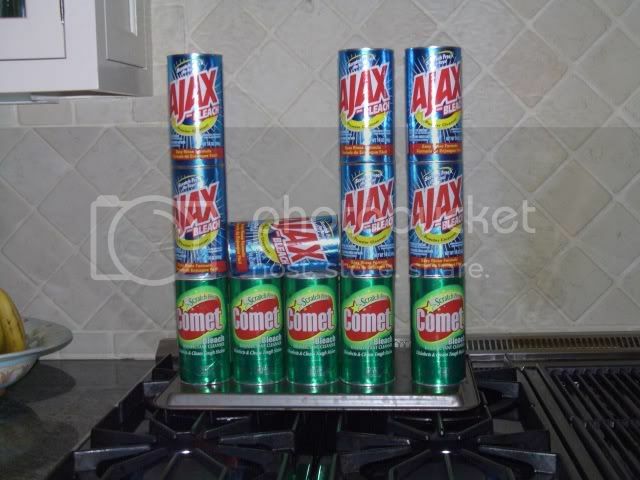 I needed some “warm up” material for my introductory remarks for our technology day at our xAAS forum today, so I expanded the Ajax UI so that it now sits on Comet (and a stove 🙂 making it a pretty hot Ajax on Comet UI. Take a look here. We recently had to sort through all of these terms to try and decide how to title a forum. Since we settled on a B2B focus, we decided to call it a On-Demand/SAAS Forum, which seem to be the most appropriate "tags" in use today. The process pointed out a real flaw in the current vocabulary for describing newer approaches for offering valuable products to consumers and businesses with as little installation/configuration/integration/maintenance/use headaches as possible (that's what it is all about, isn't it?). The forum led to my rethinking the tag for the introductory presentation at the forum. Perhaps a better tag for the service is xAAS (pronounced zass). I spent the last couple of days at the Microsoft Mix Conference. In a nutshell, they get it and are coming on strong. What is new (besides the new healthier snacks and lack of Microsoft Backpacks) is that the competition and market results from companies like Google and Salesforce.com has unlocked the latent innovation potential from Microsoft and they are currently going through an extreme cycle of innovation (they have always had a very large group of very talented people, but, like all other companies, need the outside competition to drive the innovation). Vista is late (already predicted) and the rest of the products will probably be late as well…it doesn’t matter. When they do come out, they are going to be awesome, low cost, work together, and offer ISVs and continue to offer innovators a platform with great tools to increase development productivity while offering end-users a user experience that is an order of magnitude better than the current experience. (My view is that Microsoft should delay the products as long as possible and make sure that they meet the bar that they have set for themselves…nothing but upside in taking this approach). – New operating system– Vista is now delayed until January ’07, but it is an awesome operating system. While I will continue to work primarily off of my Apple laptop (I like the entire product including its operating system), I will also buy a new Vista machine and will continue to run Microsoft in the office. – Flash-times-100 presentation platform– Windows Presentation Foundation (formerly Avalon) is a bad name, but great product. Essentially, Microsoft is building a platform that will work on Microsoft products AND on other products (at least this is the vision). Assuming it works (I think it will), this presentation foundation is going to change the user experience by an order of magnitude (possibly 2 orders of magnitude). It will take a while to get user adoption (and it will probably strain the bandwidth of internet connections), but they demonstrated the product working using Firefox (my preferred browser), Safari (not sure why, as this product shouldn’t exist), the new IE7, and native Microsoft executables on the Vista operating system. Everything blew my hair back. – New Browser– IE7 has some great new ideas built into it. Since they no longer support Apple, I won’t be using it, but I do like to see the competition between Microsoft and Mozilla, as it keeps both of them innovating! – New “Development” tools– Expressions is actually three products that brings design aspects of the development process into the Visual Studio development platform (note: others would say that these are designer productivity tools, but my view is that Expressions is the missing link that FINALLY fixes the interface gap between the user experience and the back end development…this should be a HUGE advantage for development productivity). Have I been drinking too much cool-aid? Possibly, but the fact is that I think the New New Microsoft offers a huge advantage to people who make software, whether it is installed on the user’ machines or offered on-demand. I will continue to push to have my portfolio companies actively consider it and I think the new products will make the benefits that much better over the next few years. End-note: In case it is not clear, I am also a huge fan of point solutions, open source, and other platforms (I particularly like Apple for my platform and use an Apple laptop exclusively at this point (with a built-in Verizon card)…I am looking forward to a product that will allow me to run Vista and OSX on an Apple/Intel laptop and my sources tell me at least one product will be coming out this year. My strong belief is that these other products and services have helped Microsoft get its creative juices going again AND Microsoft helps get the rest of the ecosystem’s creative juices going. I spend a significant amount of my time with portfolio companies ranting about simplicity of product, particularly with respect to the user interface. I touched on the issue in my David vs. Goliath series, this one in particular. 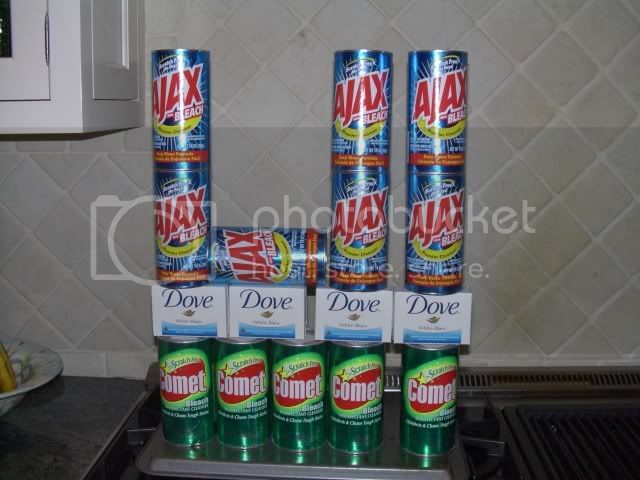 Coolest AJAX UI ever built! The interfaces between the components were so simple, I only needed to literally place each component (they were designed to be stackable). The total cost of the components was $8.41 (U.S.) and I had a few components, included in that price, that turned out not to be necessary to use. The only real trick to the entire exercise was getting the foundation stable enough to stack the components on top. I found that the initial foundation caused the components to crash, but with a few minutes of configuration adjustments the foundation was completely stable. I tweaked the alignment of the stack to try to get to optimal alignment. I could probably have spent a little more time perfecting the alignment, but the UI still looks very good. Take a look at the UI here. It is extremely intuitive and you do not have to be familiar with AJAX to get an appreciation for the construction technique. 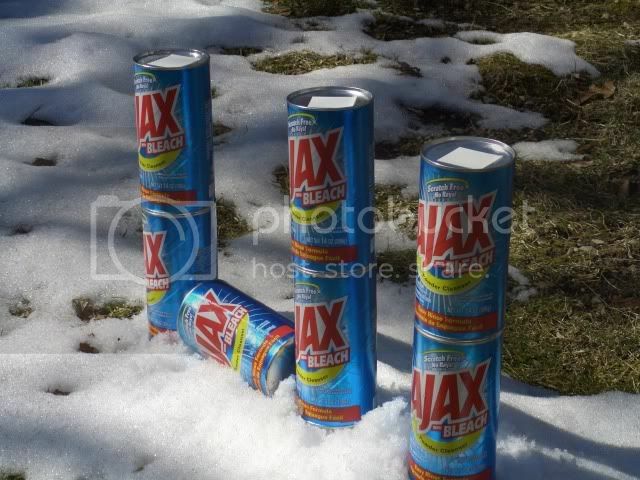 I think that you will agree that this is the coolest AJAX UI ever! The Next Computing Platform, The Wearable Internet is Closer Than You Think! Recently, I wrote a post on the issue of the computer screen size as my personal issue with the truly portable device formats. Today’s Boston Globe article “The next big thing: Tiny screens, way up close” made me connect the dots on a few developments that I believe will give us a new portable computing platform, the Wearable Internet, (at least for early adopters) within the next 2-3 years (perhaps sooner, as it is hard to give a point estimate). Much has been written and discussed about wearable computers over the years (example here and some additional resources here), but until now it has been just a futuristic vision for me. The Globe article, along with some other recent experiences, has made it clear that some combination of companies will be coming out with a practical set of devices sooner than I would have previously thought. 1. The wearable screen. I have investigated wearable screens a few times over the last 25 years, and each time have come to the conclusion that there is more work to do (the big issues are price, size, quality, and battery life). The Globe article made me realize that the advances in wearable screens are accelerating and that the move toward portable video (ala the Video Ipod) might help the innovators put more resources against getting there more quickly. (this is probably the single component that will determine how quickly the new platform becomes truly practical, at least for me). My sense is that I still will need a wired connection to the central processor for video, but, even if this is right, it is not an issue with making a practical wearable computer. 2. The wireless keyboard. I have had a wireless keyboard for several years now, so this is really a no brainer. My new Xbox 360 wireless controls also has reminded me that the wireless input device technology has no issues at this point. It seems to me that some combination of “thumb keyboards” and full size keyboards would be useful for several situations, although there are lots of possibly great developments that could lead to much better finger/hand input for the wearable computer. Allowing the Treo, Blackberry, or other PDA keyboard to communicate directly with the central processor would be useful. 3. The central processor. Again, already here in a lot of ways, although the power of the truly wearable computers is not to the level I would like (I don’t want a PDA connected to the Internet, but rather a fully functional laptop, perhaps without the DVD slot). I built a wearable computer for a master’s thesis 21 years ago with the then available technology, so there is no doubt in my mind that a manufacturer can take the current chip sets and put them into a smaller battery powered bundle (without a keyboard or screen…similar to the Mac Mini in concept). Worst case, I can use my laptop in my briefcase as the central processor, although it would not give me the geographic range that I am looking for longer term. 4. The Internet connection. I use a card in my laptop with a Verizon Internet service that costs about $60 per month for unlimited use. It works beautifully (Brad Feld and Robert Scoble have had similar experiences, Robert with Cingular). Manufacturers are already working on building the cards into the computers, so again no issues with easily getting a combination of Verizon and Wifi connection, depending on location (perhaps Wimax will come along as well, but the technology is here already and works great). Other peripheral technologies such as location, voice I/O, and image capture are equally well developed, so there do not seem to be any issues standing in the way of this platform becoming a reality other than some straightforward engineering and getting to a set of components that are relatively easy to mix together to create the wearable bundle that most suits the user. As with anything, there are many possible paths to getting here. One practical path is that the wearable screens continue to evolve (pushed by video players) and eventually people like me start hooking them along with a bluetooth keyboard and Verizon internet service into our laptops (the laptops then stay in the briefcase). Then, one of the laptop manufacturers (Apple, perhaps) comes out with a “wearable laptop” that is essentially a laptop without the screen, keyboard, or DVD slot, and includes a built in Verizon card)…it only takes off from there! An alternative (parallel?) path is for users to start connecting the wearable screens to their PDAs and/or Ipods and for the PDAs to continue to evolve in processing power and internet connectivity until the laptops and PDAs converge into one. Lots of other possible paths, but these two seem the most logical to me, at least at this point. Ed Sim reminded us recently that “A great hockey player plays where the puck is going to be.” If this is where the platform is going to be, where are you going to be? About 10 days ago I interviewed a VP Sales candidate for one of my portfolio companies. The more I think about our conversation, the more I like him. I walked out of our conversation thinking that he would be perfect for any B2B software or SAAS company. Why? This particular candidate pulled out his personal operating report and explained to me how he knows what is going on every day (even when he is on the road with customers) and what he does when particular metrics drop below a certain level. He showed me the different levels of his report so that he could see his deals moving through the sales pipeline and how each salesperson and sales group was doing vs. their benchmarks. He also explained how predictable his system is in forecasting sales as well as determining when he needed to add resources at various stages of the sales process. Finally, he was able to explain how his system allows him to accurately predict the results of adding new resources and, just as importantly, how he is able to relatively easily recruit and train people to follow his system. Separately, he has relevant experience and success managing several models of distribution (including telesales, field sales, and channel sales), each of which has its own unique best practices. Also, we were able to get a reliable reference that echoed what the candidate had said. He did not quite “have me at hello,” but he did have me about 10 minutes into our discussion. I knew going in that he had relevant experience and was known for making his numbers, but it was his approach of managing to metrics that got me. Why? Over time, the nature of emerging growth companies is that they move from simpler approaches to more sophisticated approaches (more specialists, more channels of distribution, more products, more marketing channels, more approaches to customer service) and you want to make sure that you continue to evolve in the right direction (note: this is not an argument to get more sophisticated as an end to itself, just that getting more sophisticated leads to better operating results as you growl…you clearly need to keep your operation as simple as possible). Metric driven management can and should be applied in every functional unit in an expansion stage company, from product development activities (e.g., project management, bug fix reports, usability testing) to marketing (lead generation ROI, website path analysis, shopping cart abandonment, number of daily quality leads) to sales (e.g., movement through the sales funnel, salesperson activity analysis) to customer service (response time, close rates, close times, etc.) to overall customer satisfaction measured both qualitatively (surveys, interviews, etc.) and quantitatively (usage reports, retention rates, etc.). The key to getting the right metrics program in place is to eventually understand the minimum number of measure that give you an accurate understanding of the state of your company. Many (most?) very early stage companies can get by without metrics-based management, as there are very few people in the organization, the processes you have are quite simple, and you can manage staff a lot easier. But as soon as you start getting any measurable number of users/customers, metrics-based management starts becoming useful, and as you grow more metrics become difficult to live without. There is no sense building systematic operating models and a set of metrics if you are not going to manage to them. I have met many intuitive managers who don’t get (or don’t want to get) this approach. If you don’t believe in the approach, shoot me a note or comment to this post. If you don’t completely get the approach, hire someone to work for you who does (I have done this multiple times at my portfolio companies). Once you lock into a set of metrics (it will take some time to determine the best most simple metrics), you should try to use the same metrics over time. I am amazed when I go into certain board meetings and see a different set of metrics each quarter…sometimes managers feel the need to present the metrics that show off the accomplishments of the company…I would rather see the metrics that show the improvement opportunities for the company…this is where the real upside is! If you want to tell me about your results from or projections for your operations, my preference is that you show me the metrics! Are You Building an Army of Evangelists? While large companies have had a growing trend toward hiring “technology evangelists,” it is becoming clearer to me that institutionalizaing the approach (i.e., setting goals, formally staffing the roles, responsibilities, processes, metrics) has increasing benefit in emerging growth technology companies. James Pethokoukis has a good U.S. News overview article, Spreading the Word, on the approach used by several companies (you have to sit through an annoyingly long 10 second ad to see it, but the article is worth it). This probably does not take a lot of explanation, but the increased number of impressions formed by online activity (forums, blogging, domain-specific directories, etc.) makes the benefit associated with evangelism much higher for all companies, and the positive ROI now extends down to extremely small companies. Guy Kawasaki, the first technical evangelist when he worked for Apple, has a recent post The Art of Evangelism. Declan Elliott has some good thoughts and links on the topic. Guy’s approach is a little too “religious” for my taste, but it works for him as well as the causes he evangelizes (you can, of course, tune the message to your customers’ taste). Robert Scoble is probably the best known current Evangelist, working for Microsoft. He has a follow-up to Guy’s note with his point of view. The comments are also a great read (note the different viewpoints on the use of the “evangelism title vs. other possible titles for the activity). Another must-read is Robert Scoble and Shel Israel’s new book, Naked Conversations (reviewed here), which gives a great overview on the use of blogging for creating conversations with the people that make up your market (not sure about the title however…the image of Robert Scoble naked is not appealing to me). Ben and Jackie have some practical ideas on getting started in their post How to become a Customer Evangelism Evangelist The key here is just to get started in some capacity…even by just opening your eyes to the opportunity. See this view from a emerging growth company from 2% Creativity Blog. Are you Nickel and Diming Your Customers? I have been traveling internationally this week (one of the reasons for my sparse postings) and I had an interaction as customer that made me examine how not to train your people. Briefly, I was at the Airport in Munich Germany waiting for my flight to Moscow. I purchased a cigar at a shop using a credit card (I did not have any Euros, only U.S. cash). Then, I asked for some matches. The woman behind the counter told me that the matches were $0.10 Euro (a dime). I still did not have Euros and the credit card had already gone through for the cigar. I offered either U.S. cash or my credit card again. At this point, the woman behind the counter could have offered to give me the matches, taken my U.S. cash, or even taken my credit card. Instead, she told me she couldn’t take the credit card for such a small purchase, wouldn’t take U.S. cash, and didn’t offer to give me the matches (I didn’t ask either, as I wanted to see what she would do). I walked out of the store with a cigar and nothing to light it with. 2. If you don’t train your people on thinking about the needs of the customer and how your product might work for them (or not work for them) before the purchase is complete, you might end up with mismatched expectations. postscript: I am writing this post from 30,000 using Lufthansa’s in flight internet connection. The airline and the country shot up a few orders of magnitude when I turned on my laptop in flight!